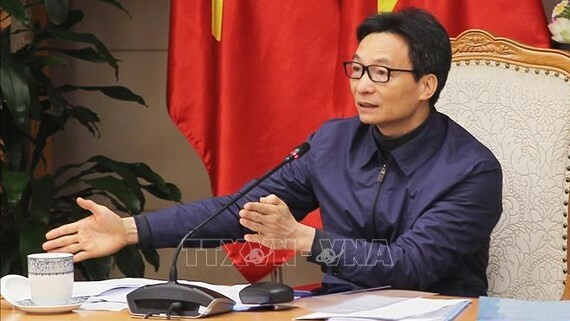 The increase in Gini coefficient which is used as a gauge of economic inequality, measuring income distribution or, less commonly, wealth distribution showed the gap between the rich and the poor is widener in the country, said Deputy Prime Minister. The figure was released in a meeting on implementation of the governmental social matter resolution presided by Deputy Prime Minister Vu Duc Dam and the central steering committee was held yesterday. Deputy PM Dam noted members of steering board and agencies to take heed to arising social matters inclusive of present issue Gini coefficient. Worse, more adults and children suffer stress; accordingly, police-makers should work out policies to support them, he added. According to the Ministry of Labor, Invalids and Social Affairs’ figure, around 1.3 million people in serving the cause of the nation’s revolution enjoy monthly allowance nationwide. Moreover, the poverty-stricken households rate declined by 5.35 percent or a year-on-year decrease of 1.35 percent countryside; of which poor households in disadvantaged districts dipped under 35 percent or 5 percent compared to last year. More than 2.8 million people receive monthly social welfare and health insurance. More people enjoy social welfare program thanks to amendments in policies. However, many people in serving the cause of the nation’s revolution, poor dwellers, and ethnic minority people live in penury. Subsequently, some goals of the resolution such as employment rate in the agricultural field, rate of social insurance participants, unemployment insurance, trained laborer rate and rate of inhabitants in rural areas accessing to clean water hardly achieved by 2020.